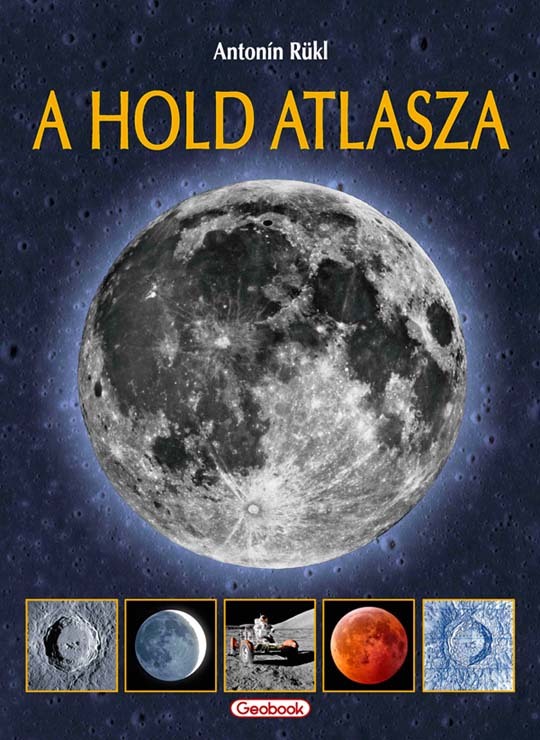 The famous Atlas of the Moon by Anonín Rükl is now published for the last time, using the original “analogue” films of the Czech author. The original title is “Atlas Mesíce” in Czech and the last English edition was published in 2007 by Sky Publishing. The author has made a special agreement with the Hungarian Geobook Publishing Co. to publish the full atlas for the last time, in Hungarian and German language versions. The Hungarian version is printed in 600 copies. The text is considerably revised and updated, making an edition 1.5 times longer than the last one. It features 76 hand-drawn detail maps of the near side at 1 km resolution, complete with libration maps and for the first time, polar maps, showing the surface in uniform illumination, without any shadowed areas. There was no red ink used during the printing, so all images and text remain visible even in red light, during actual observations. According to amateur astronomers, visualization of landforms surpasses any other Lunar atlases. The book, printed in Prague, is not placed on the commercial book market. The reason why this is the last authorized edition is that Antonín Rükl does not want a new one. He regards this work as one belonging more to the 20th Century and would like to have it a completed project. The end of an era. Antonín Rükl: A Hold atlasza. ISBN 978-615-5015-11-3. Geobook Hungary Kiadó, 2012.